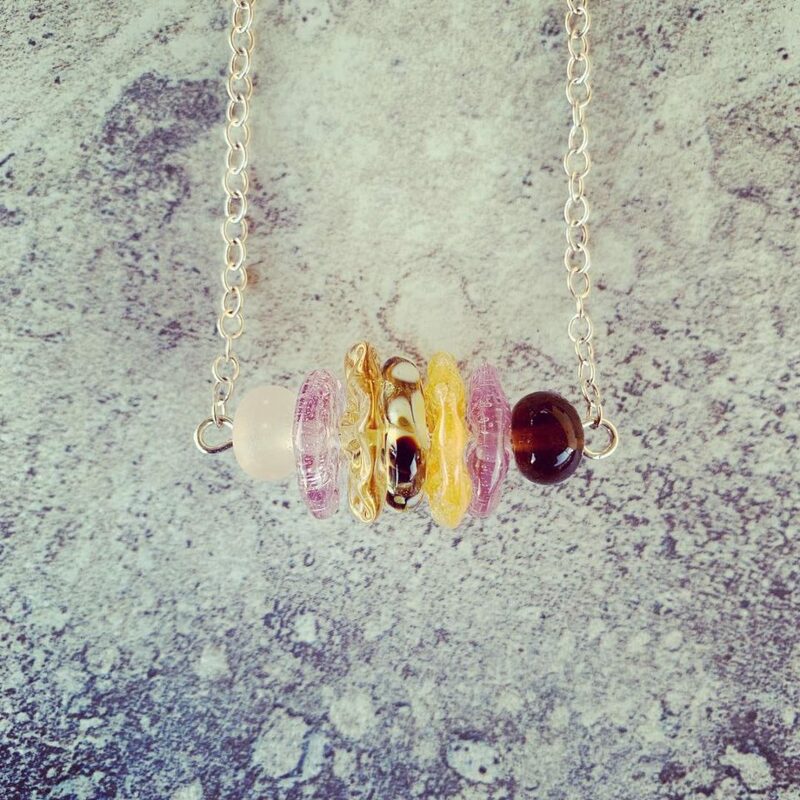 Day 93 – Horizontal or vertical recycled glass necklace? 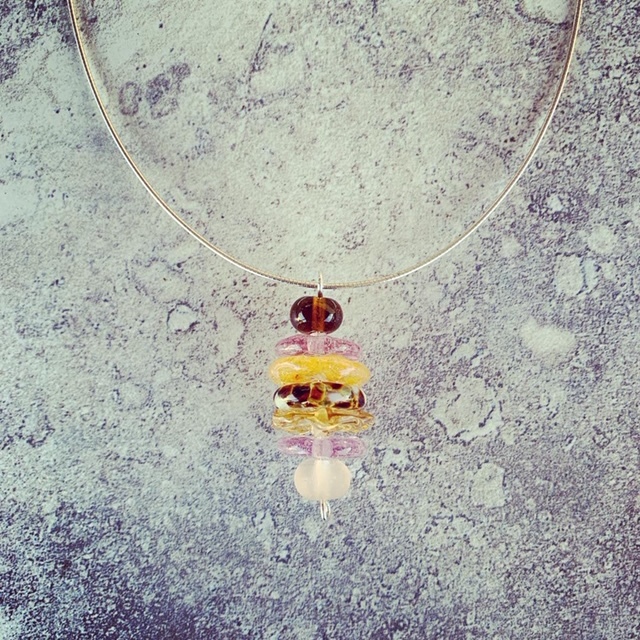 I couldn’t decide which way I preferred this necklace – horizontal or vertical? All sorts of recycled glass beads in this mix including glasses, beer and wine bottles.